You might not feel comfortable asking people to spend money on your services. You might be frustrated at your lack of results. You certainly have a feeling that selling your stuff should be easier; that it should come more naturally, and you’d love to find the power and the techniques to get comfortable enough with selling so that you’re having more frequent and more effective sales conversations. You want to double your revenue (at least). And most importantly, you want to do it in a way that FEELS right. You don’t want to be the sleazeball sales rep banging down doors and pounding the phones just to make bank. You want to sleep at night and wake up in the morning with a huge grin on your face, confident in the knowledge that you can generate more happy, paying clients ON TAP. You’ll finally be earning what you deserve and getting paid what you’re worth. That’s entirely possible. Welcome to the School for Selling. The School for Selling is the most comprehensive sales training resource you will ever need. AND I CREATED IT JUST FOR YOU. Former Head of the Book Yourself Solid® School of Coach Training, creator of Professional Persuasion and author of the personal development book How To Get A Grip. MY SPECIALTY IS SELLING. SPECIFICALLY, NON - SUCKY, SYSTEMATIZED SELLING. Throughout my career I've sold everything from double-glazing to timeshare to professional services. I broke company sales records a decade ago in the vacation ownership industry, and launched a staffing firm that grossed in excess of $1.5m in its first year (and more than double that in its second). I've studied more sales training than is healthy or normal, and I've applied those lessons to my own businesses and to my clients' businesses to generate many millions in revenue. It's my mission in life to help you fall in love with selling. Not for greedy reasons, or for the love of money (although that's not a bad motivator) but because without love, you can never give fully of yourself. Simply put, you're better at doing the things you enjoy. That's why the School for Selling is more fun than you think you can have when you're learning something as important as how to sell. Erratic or sparse lead generation. Your prospects are perpetually stuck "thinking about it". You're not holding yourself to the same standards that you'd hold a salaried sales manager. You're scared of asking for the sale. Then the School for Selling might be just what you need. If you take this course and do what Matthew tells you, you better invest in a higher end invoicing system, you're going to need it. I dove in and started a business and the first thing that kept me up at night was sales going up and down with little to no predictability. I immediately signed up for Matthew's course because I needed a simple process that didn't turn me into a full time sales person. Within the first month, the course more than paid for itself. Within 6 months, I was asking Matthew for advice on how to actually handle all the work that was coming through my doors. A year later, I've got a nice team assembled around me and we're growing every single month. An entirely comprehensive sales and marketing video training course that covers the entire business-building process process, from honing in on your ideal client and identifying a hungry target market, to preparing yourself mentally, the right (and wrong) things to say in a sales conversation, closing with grace and impunity, and following up to generate more referrals than you thought possible. 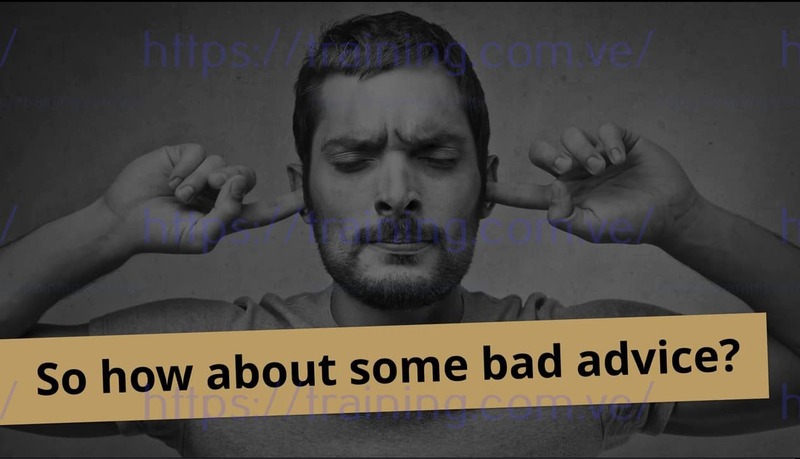 Over SIXTEEN hours of advanced sales trainings videos, broken down into manageable bite-size chunks. I'm the former Head of the Book Yourself Solid® School of Coach Training, which means that you COULD NOT be in better hands to learn this game-changing step-by-step business-building system developed by my friend and erstwhile business-partner, Michael Port. 93% of our small business coaching clients who have implemented the Book Yourself Solid® system have increased their number of clients by over 34%. I'll be your guide - over the course of twenty-two video modules - as you learn the EXACT system for getting more clients than you can handle, even if you hate marketing and selling. This video training component is EXACTLY like spending two days in a hotel room with me (because that’s precisely what it is), only you get to keep your clothes on. If you want to know how to build out your entire business, from identifying your most receptive markets to the six marketing strategies that actually work, then it’s all there. You, me and 22 individual videos to take you on a guided journey from business idea to repeatable sales from GREAT customers. It’s live video, recorded at a secret location in London last year that, where the attendees invested considerably more than the TOTAL price of the School for Selling to attend. The foundation of every competent salesperson's ability to sell: how to set yourself up for the sale. As my business partner, New York Times bestselling author Michael Port, says "90% of business problems are personal problems in disguise." This module will eliminate your personal problems and level the playing field. What hangovers teach us about emotional detachment from the outcome of our negotiations The biggest myths about "setting yourself up for success" and what to do instead Why to do the OPPOSITE of what most sales trainers tell you to do to "psych yourself up" How a negative mental attitude can be your best friend Scientifically proven techniques for getting real physical and psychological change in under five minutes, on tap. How to overcome the "inferiority complex" many salespeople feel when faced with an important prospect. Man, do I hate selling. Actually, I did hate selling. What I learned from Matthew helped me change my thinking and my skills, which ultimately helped significantly change my revenue. His approach worked for me because it’s not complicated and it allows you to be your genuine self. At the same time he doesn’t kid around about what it’s going to take for you to succeed at growing your business. This isn’t magic, it’s just solid information that works. Apply what he suggests and you’ll make more money. And, he’s funny -- which is a bonus. Putting a process in place will give you predictable results. This module shows you how to move your prospect from "unknown" to "lead" to "sweaty and ready to buy". How to implement a "lead escalator" that keeps moving your prospects upwards towards the sale ... even if you're off on a coffee break. How to always control the sale, even if your client is a corporate dinosaur that has its own mystical protocols and procedures for procurement. The secret systems of Wall Street's rebel telemarketers that lead the customer from "hello, what do you want?" to "yes please!" The only two ways to open the faucet to a flood of new client inquiries (aka "leads") and what, specifically, to do with them once you've got them coming in. The master of direct response marketing's granular technique for pre-qualifying your leads to highly exacting standards before you've even made contact with them. How to ethically "force" your customers to make a decision in such a way that they thank you profusely. Within the first hour of lessons from Matthew's training I was able to set aside my limiting beliefs and double my rates. An hour after that I had a sales conversation and booked my highest paying client ever. My business has continued to grow from that point, thanks largely to Matthew and his guidance. Sometimes called the "audit" or the "information-gathering" stage, these are powerful opportunities for sales conversations. In this series of training videos you'll learn the art of customer conversion. You'll find out how to go from talking about what you do to talking about how they're going to pay you. Matthew Kimberley's sales training is a treasure trove of practical, real-world and results-oriented sales advice. I love the 'on-demand' nature of the resources, since I can find exactly what I need for a specific sales situation, whether it's about pricing or overcoming objections. Matthew's materials have helped me book new business and get additional business from existing clients. His expertise in this area is second to none. However hard you try, it's unlikely that you'll ever have the luxury of being a pure order-taker. Good marketing makes the salesperson's job easier, but there will always be objections. This training module will show you how to handle ALL objections that come up, using my proprietary framework. Why you will lose EVERY SINGLE TIME if you consider handling objections as "doing battle" with your prospect The only 3 types of objections that exist, and how to handle each type very differently in order to close more sales How to recognize which objections are, in fact, your prospect giving you permission to sell to them. Most salespeople don't recognize these "tells" and give up on sure things too soon. Five ways to manufacture objections that didn't exist before ... so you can avoid making this mistake. (Closing too early is the first way, there are four more you must know.) When it is appropriate to elicit "useful objections" to help you know when to close and when to hold. Six reasons prospects object, and a playbook for handling every possible type of objection that is thrown at you. Matthew Kimberley is an absolute master coach of selling, persuasion and sales. His uniquely authentic approach is utterly refreshing. Having personally worked with him, I can attest to the breakthroughs in my sales and business. Plus, he's a great dude to share a cocktail with. Closing is the number one most requested skill that sales managers ask of their salespeople. While all of us are very strong at talking about our product, it takes a gentle but important shift to ask the prospect to become a buyer. You'll learn both the basics of asking for the sale, as well as more advanced strategies for getting people to take action RIGHT NOW. The surprising correlation between price and value that makes asking for the close much easier than you ever thought possible. The "upfront close" which replaces the tired old "Always Be Closing" adage. (If you're still "always closing" then you're exhausting yourself: this technique is much more efficient and effective). How to get your prospects to tell you exactly how to close them, so that they tell you in advance what they need to hear in order to say "yes". The practical applications of Robert Cialdini's 6 Principles of Influence and how to incorporate all of them into your closing patterns for maximum return. The 5 steps you need to take before you ask for the sale to increase your chances of making bank. 13 individual closing frameworks to cover each type of buyer, and specific instruction on how to act when you can't get a yes, no matter what you do. There is something deceptively simple about how Matthew teaches. He's helped me move from being really daunted at the idea of sales calls to finding myself soothed by his sensible and clear advice, so I could relax more into the process of 'selling' without it feeling sleazy or awkward anymore. 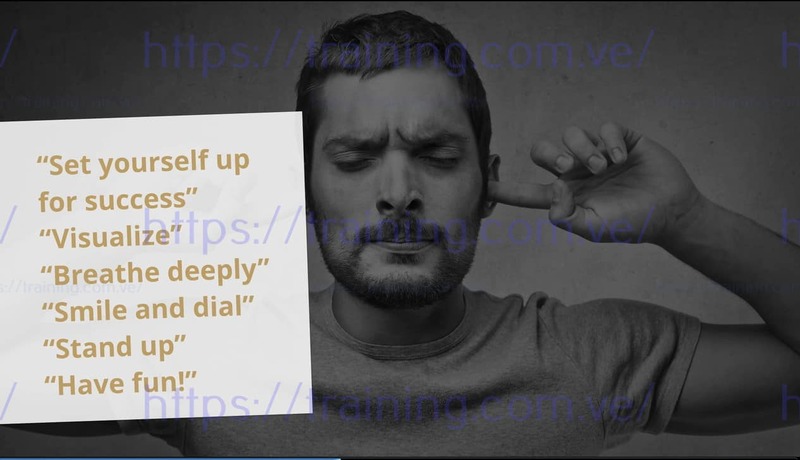 I also learned some great mindset techniques to boost my sales confidence from his training sessions. It's a truth universally acknowledged that word-of-mouth marketing is the cheapest and the best kind of marketing any business can hope for. Warm referrals are the grown-up big brother of word-of-mouth marketing. Referrals are the single biggest source of "pre-closed" leads that you're ever going to get. Imagine if every sale (or failed sale) could lead to more business. That's what you'll learn here. How to systematize your referral strategy and put it on autorepeat so that you can produce a sustainable (and mathematically proven) supply of warm business prospects. The three books you can't afford to ignore if you want to generate referrals on autopilot The power of indirect and passive referrals to boost your credibility and authority without ever even asking for a referral How to incentivize your clients to provide you with glowing, honest and exciting testimonials that will act as sale-accelerators for your business. The 6 steps you need to take to dramatically increase the chances of a referral request ending up in a flood of new business. How to systematize those six steps using a piece of little-known software so you don't have to do any heavy-lifting. Taking the time to improve my selling skills was the last thing I wanted to do, but I knew I had to if I wanted my business to grow. I needed a sales training program that would be both enjoyable and effective. Matthew's courses not only helped me overcome my aversion to selling, they helped me build confidence and ultimately close more sales. 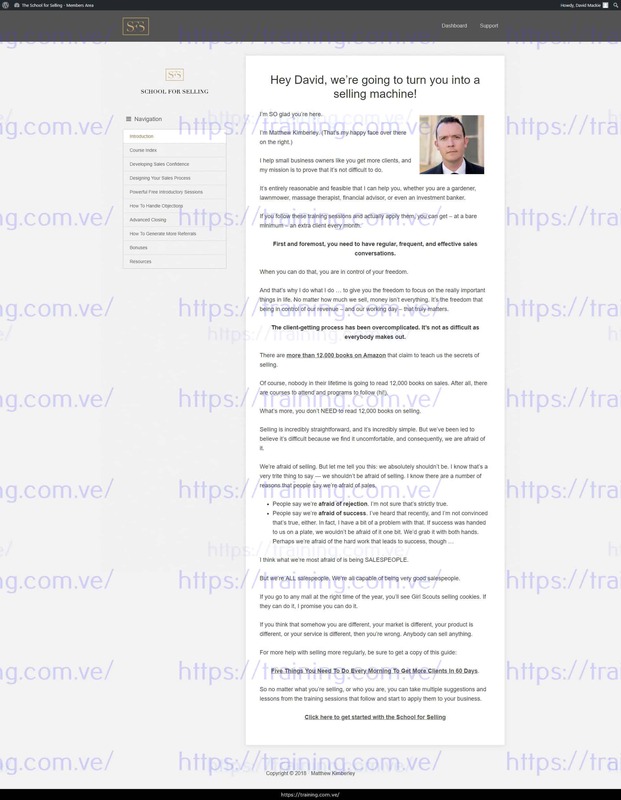 After watching and implementing only a fraction of the recommendations included (and there is a wealth of knowledge included in these courses), I was able to streamline my sales process so that I spent more time with quality prospects, create and sustain good selling habits, and the best part - I closed more sales. Before the program my average closing rate was 25% of sales presentations. After the course, I averaged 75%. Comprehensive full-training video (1 hour 20 minutes) previously only available to private, paying members of Natalie Sisson's Suitcase Entrepreneur High Flyers Club. Not available anywhere outside of these places. 55 minutes of detailed advice - based on years of trial and error - on how to succeed when you're using one of the least popular of all sales tools - the telephone. You may never have to pick up the phone in your entire life. But if you do, you'll find this training session to be uniquely valuable. Corporate animals can be intimidating. If you sell coaching, consulting or training services to corporate clients, this bonus 40-minute video training will complement the rest of the School for Selling perfectly. In this insanely fun bonus you'll find out the very best proven strategies for building relationships with key people of influence. You'll use this for making the most influential people you know - but who don't yet know you - sit up and pay attention so you can play in the big leagues. Join the School for Selling today and you're covered by our 30-day no-questions-asked guarantee. This unconditional guarantee means that you'll have enough time to go through all the material multiple times. If, after you've done that, you decide that it doesn't work for you, then we'll refund you every cent. You are covered by our unconditional 30-day money-back guarantee AND you will have lifetime access to all future upgrades (and we've got some REALLY interesting stuff planned for the near future). P.S. 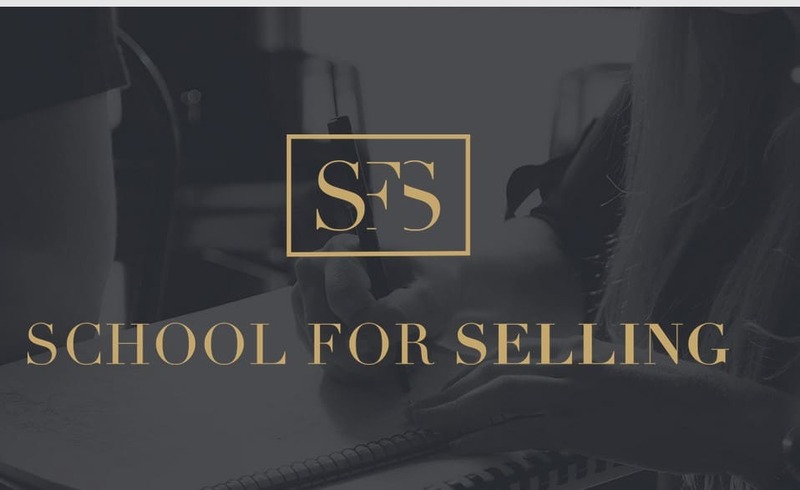 The School for Selling is an immediate-access course. As soon as you have made your first payment, you will receive an email with access details and you can get started straight away. P.P.S. All videos work on all devices, including mobile devices. P.P.P.S. Clicking the button above will take you to the checkout page. That's the final step to getting immediate access to the School for Selling. When I decided to become a coach, I felt totally lost when it came to marketing and selling. In fact, I can say that I hated the idea of selling so much that I was giving away many of my services for free. The only reason my business survived (and now prospers) was because I found Matthew and the Book Yourself Solid(r) system. Matthew's sales skills are amazing. He can sell ice to an Eskimo. His program helped me (who previously couldn't sell water in the desert) to meet my sales goals, and taught me that sales can be fun. Try it for yourself and you will see the difference in your business income - I highly recommend it. AUTHOR, "WIRE YOURSELF FOR WEALTH"
Since using Matthew’s insights into selling, and doing the activities he advocates, I started getting so many new clients and opportunities that I had to put the lead generation on hold! Matthew was also really helpful in dealing with this problem too, and in one conversation he gave me some wicked insights (and a kick up the arse!) to scale up what I do to accommodate the influx. Now, several months later I have doubled my rates, and am piloting a new way to leverage my time because I have so many (of the right) people wanting to work with me. Matthew’s teaching, and his dynamic approach to building relationships (and allowing it to be fun) is a HUGE part in this.